grilliant foods is a Northwest Side bbq restaurant, which also features a european market/deli as well as various local goods. We have inside seating and carry out available! 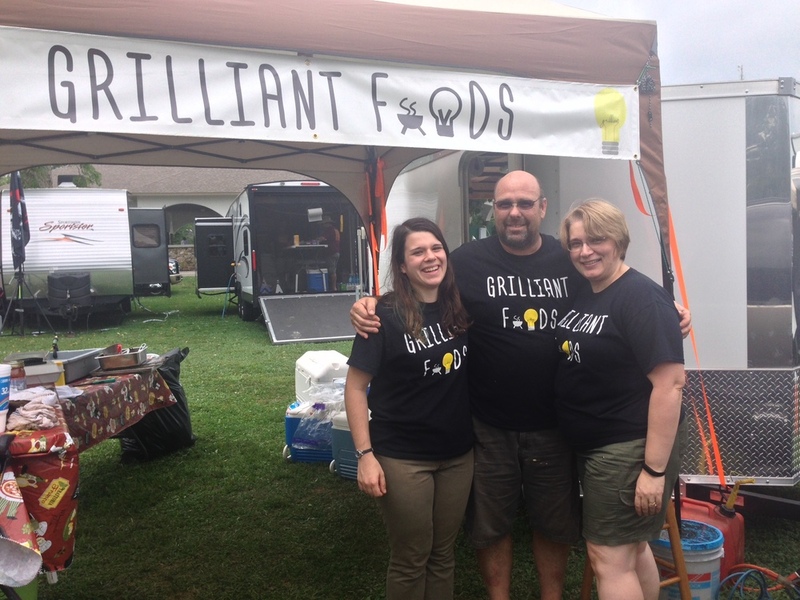 Grilliant Foods was created in 2014 by owner Ernie Verbarg as both a catering company and competitive BBQ team. With the beginning of 2015, we decided to change directions and expand to a full restaurant and shop. We found a location - a European market and deli - with roots in the community. Not wanting to take away the imported European goods from the central Indiana area, we decided to continue stocking the grocery part while adding our own flair. Continuing forward, we will also be carrying a variety of goods from local merchants. Everything from coffee, to BBQ rubs, and whatever else we might think of. 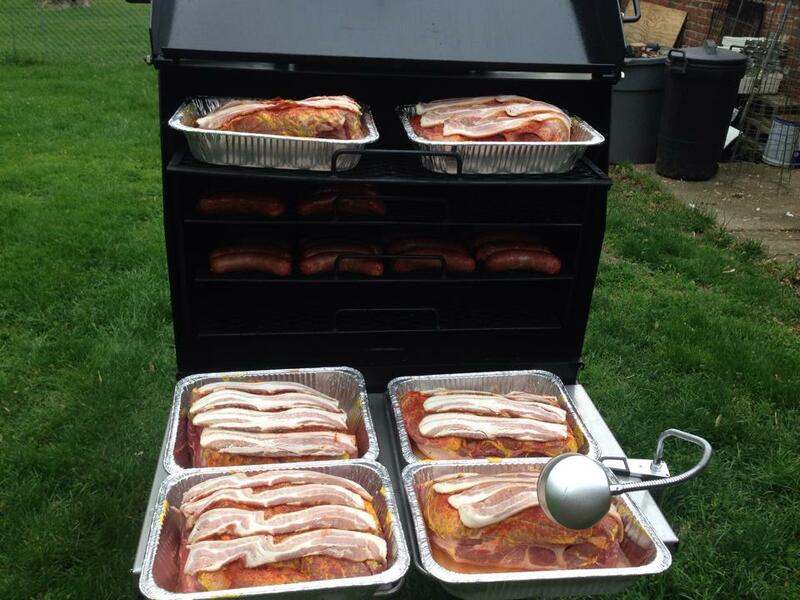 Ernie started smoking meats a few years back, and has expanded from one small smoker to upwards of 6 - depending on the day. 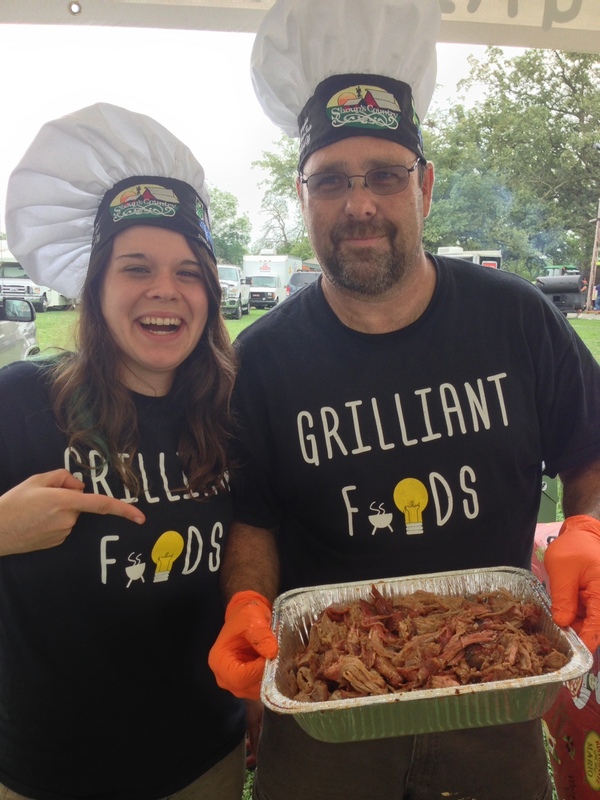 He began checking out the BBQ competition scene partway through 2012, and walked away as the Grand Reserve Champion at the Indiana State Fair. Not bad for a rookie. Two years later, Ernie fought his way to the Grand Champion title at the State Fair. That's first place and a lot of fun. 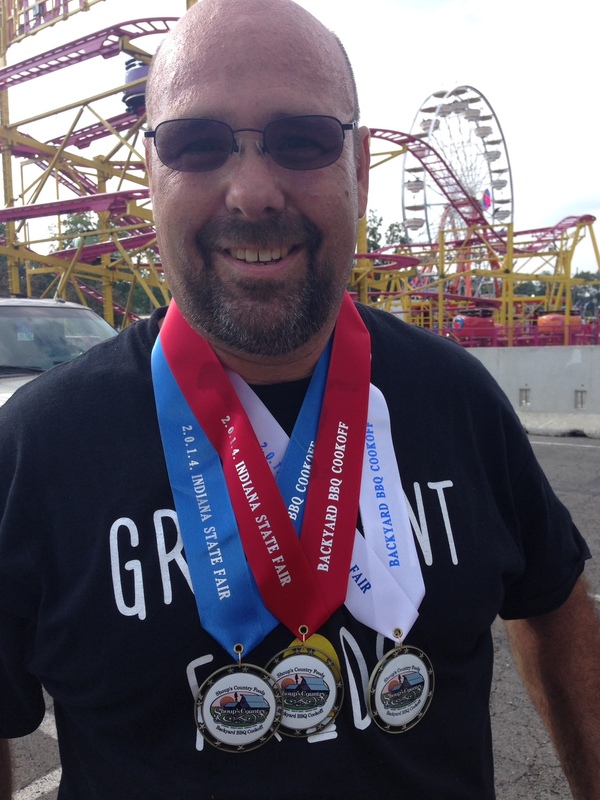 Since then, he has worked his way into the KCBS (Kansas City Barbecue Society) scene. Who knows where he'll end up from there? Likely smoking all day at the new Grilliant Foods location. Yes, there will be BBQ. Yes, there will be European goods. Yes, there will be local goods. But most of all, there will be quality and commitment to the central Indiana community. Click here to download a copy of our menu! Dine in or carry out. We have a Variety of local beers and wines available for your enjoyment. 1/2 rack of ribs smoked for 10-12 hours on our on-site smoker. We coat our ribs in a mixture of rub and other secret spices to make them delicious and tender. Once smoked, we brush on a nice coating of our house-sauce. Our ribs aren't skimpy either, they'll bust right out of your to-go box. Hand-cut tenderized pork, battered and fried to order. Served on a bun with lettuce, tomato, onion, pickles, and mayo. It's as big as your face. You've got to try this. Inspired by our favorite beach restaurant. Cajun battered shrimp, fried, and coated with buffalo sauce. Served with ranch dressing and celery sticks to cool the burn. 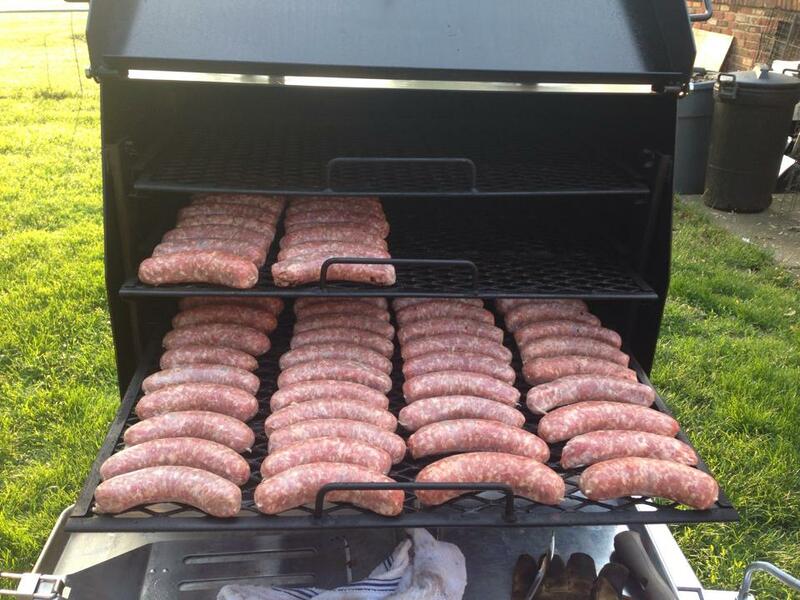 We carry a variety of bbq spices, sauces, wood, and more for your backyard bbq needs. We carry: maple, peach, mesquite, pecan, sassafras, persimmon, cherry, apple, hickory, as well as our selection from Smoke Me. * We also carry lump charcoal from Royal Oak. In addition to our shop and restaurant, we are also happy to provide our services for catering events and parties. You can pick up items or we can bring to you. If you would like us to cater for you, we ask that you complete the form below at least 48 hours in advance or call us at 317-334-8797 and we will contact you for more details and pricing. Catered food is cooked to order, either charged per person or per pound. We can provide service for the food. We charge an hourly rate for service, which we are glad to discuss during the event planning. Our catering setup consists of a truck/trailer setup with a tent. We provide our own serving trays and warmers. Thank you! We will be contacting you soon to discuss additional details for your event! Feel free to call us as well at 317-334-8797.